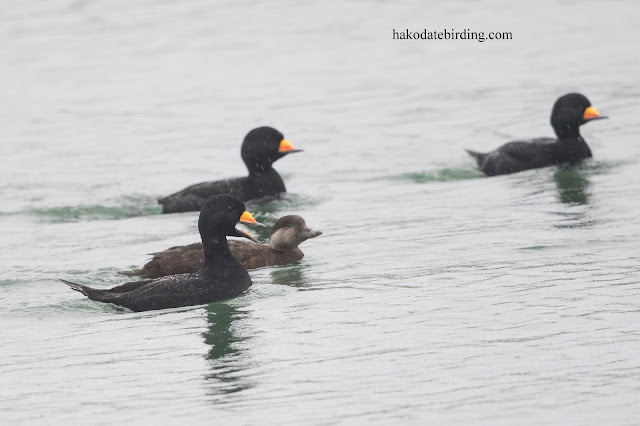 A nale Merlin was also at Oshamanbe. 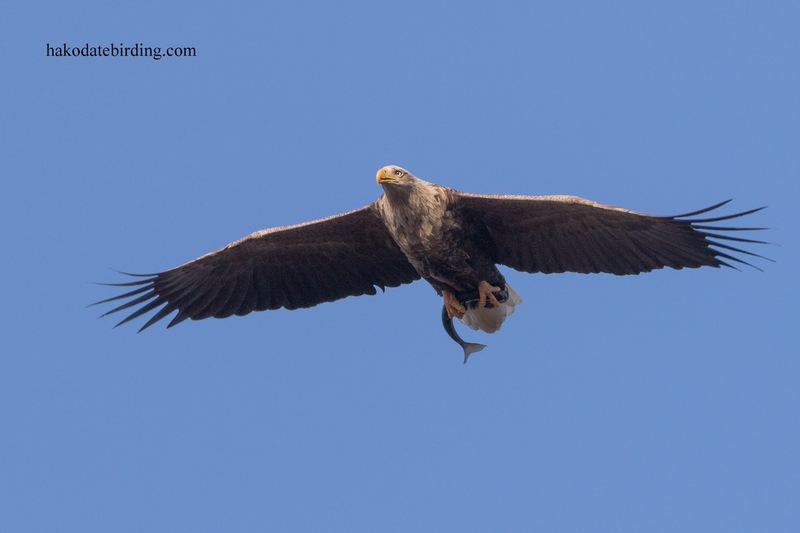 There were quite a few White Tailed Eagles in the Tomakomai/Mukawa area, here's one with its catch at Utonai-ko. Mukawa was pretty quiet, I did see a skittish distant flock of small drak headed passerines that had me puzzled, I think they must have been Lapland Buntings coming into summer plumage. I was hoping for one of the rarer geese species on this trip but at Utonai-ko there were only a few small groups of Whitefronts and a coupls of Bean Geese as well as a large flock of Bewicks Swan. 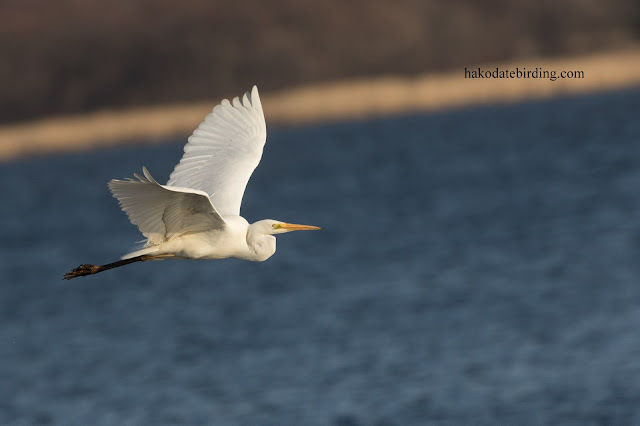 I waited until sunset hoping for some large flocks of geese to come but nothing happened, here's one of several Great Egret that were around. 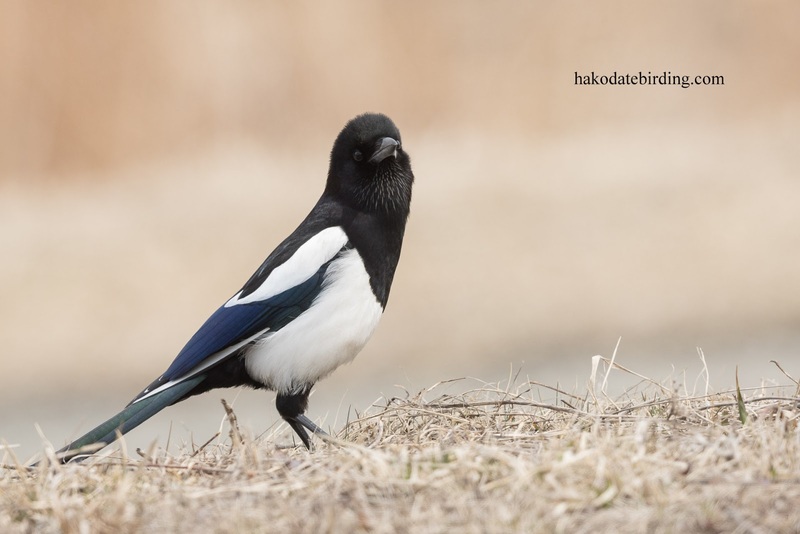 Tomakomai is also famous for its Magpies, the only place in Hokaido where they occur. Hello Stuart1:) The Magpies are interesting,...they look different from ours. All your in flight shots are ofcourse fantastic. 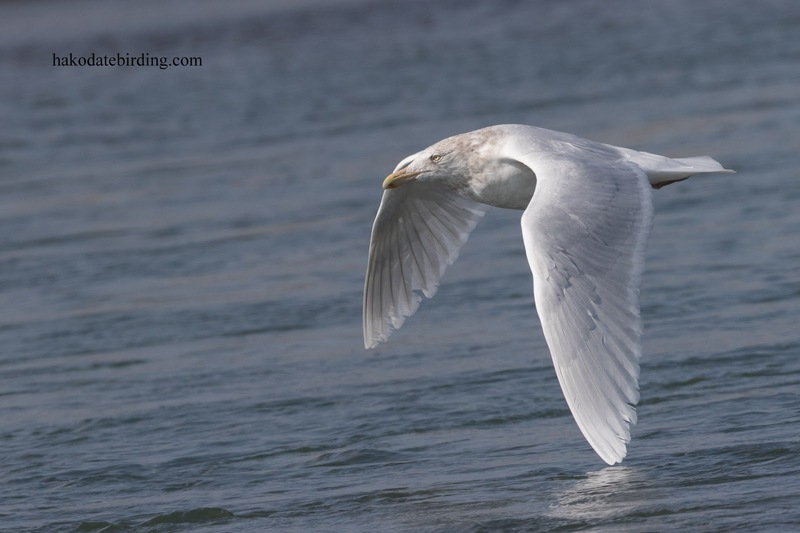 I don't see the Glaucous Gulls very often on bird blogs, that's a really fab capture. As I need a break too, I'll be taking one next week. Thanks for the comment. 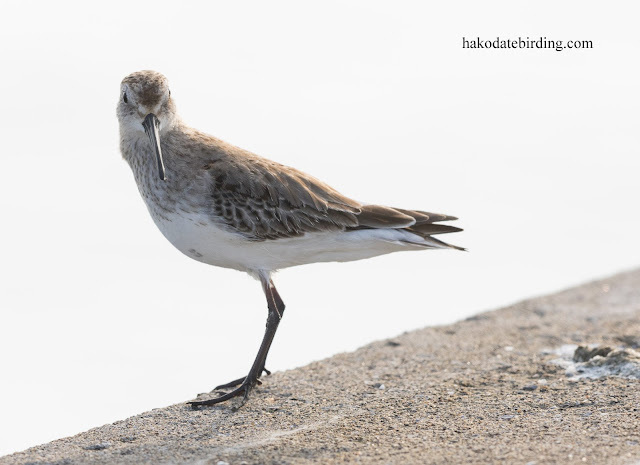 I think it's the same species as in Europe..............but I may be wrong. I've never seen a genuine Magpie. Only the Azure-wings here and Australian Magpies. 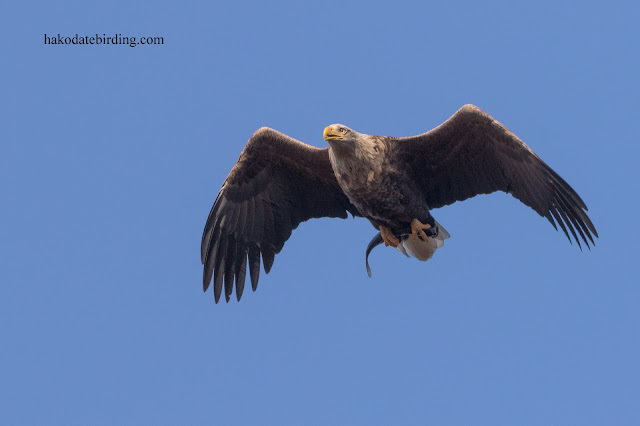 I'd be thrilled getting eagle shots like these. They would be the highlight of my winter. 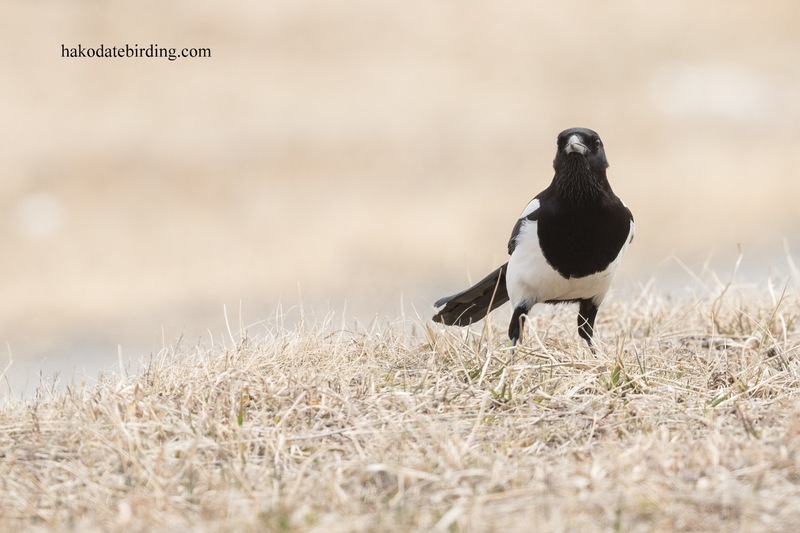 Magpies are underrated and often reviled for some strange reason. In England they have a reputation for stealing shiny objects (like jewelery)!